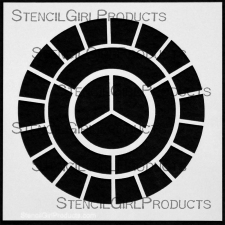 Stencil Girl Blog Hop-Color Wheels and Book Giveaway!!! Lots of great inspiration and some awesome giveaways today!!! 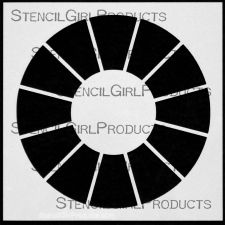 Stencil Girl Products is having a BLOG HOP featuring my Color Wheel Stencils!! Sometimes amazing things happen, like the above page where I used four of my Journal Sense mini 4×4 designs to create a complete face! Now it’s time to visit the participating artists on this Blog Hop! They all have posts today showing artwork they created with my stencils!! 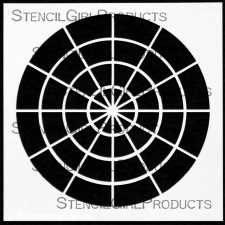 And the awesome thing is you can leave comments on each blog to up your chances of winning either one of my stencils from Stencil Girl Products or a signed copy of my just released book, Creating Art at the Speed of Life!!! So the more comments you leave, the better your chances so leave a comment here and visit these links today!! know I am getting knowledge daily by reading thes pleasant articles. Oooh these pages are GORGEOUS, Pam! Love how you used all four individual parts to make the whole face. I recognized your name….from a Stampington Magazine I suppose……I like your artwork ..so fresh and original. Awesome blog hop! Have just been doing some work with the color wheel and eyeing your book. I’m keeping my fingers crossed!!! I love those stencils! I’m definitely hooked on stencils…. Pam–You and Mary Beth are so creative and so sharing! I love your talent. Your stencils and your examples are making my head swim with ideas! Your book is on my wish list! Congratulations Pam on your wonderful new book, your very cool stencils designs, and all the amazingness you bring to the art community. These stencils are wonderful, and I love your work. Thanks for creating these stencils, and I hope I win one. If not, I will be buying them. lol. Linda E.
Bright and bold! Thanks for the inpsiratioN! So bright and bold! Thanks for the inspiraion! 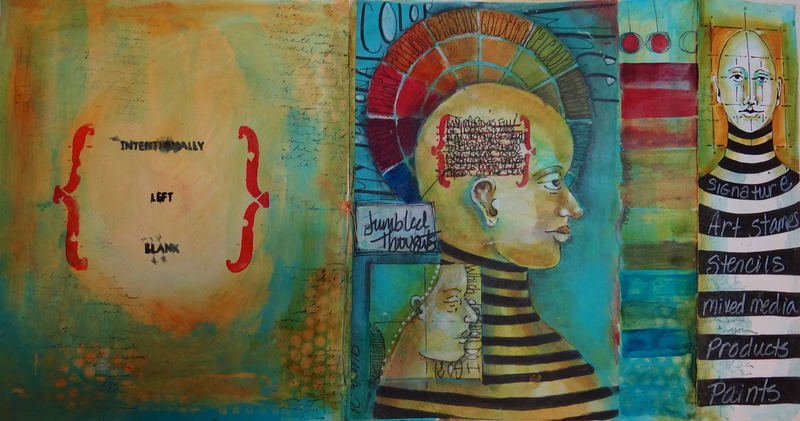 I love how you used your awesome stencils in your journal pages. And the extraordinary bright colors you used!! Thank you so much for the giveaway!! Hello Pam, this color wheel stencil is very cool. I I love all the colors and the medicinal feel to your art. Very special. I would be honored and thrilled to have a copy of your book and it would be fun to get to play with your stencils too. Thanks for the opportunity to win some of your awesome tools and all the wonderful ideas. My head is spinning! You are a great inspiration! A big congrat’s on the book, and thank you for the chance to win….the artwork here is so fab, just dreamy! Love the layering in this. Great giveaway. I hope I’m not too late for a chance to win one of these wonderful prizes! Love your pages and stencils. I have your first book and would love to win your second. Thanks for the chance at the giveaway! Your use of your stencils turned out so good. I really liked the way you used your colors with them. Would love to win any of these! Wow! Love what you’ve done with stencils. I want to play, too! Hi Pam, thank you so much for the chance to win your stendil. Love you work and am inspired. Beautiful work Pam. I love the complex pattern and the way you integrate faces. Great colour too! is an amazing work, is really inspiring! Stunning and love how you used the stencil. I would be so lost. You are so inspiring. Love your work. I would love to try out the stencils. I have your earlier book, so I definitely want to have the newest one! Love your art! Another fun stencil, with inspiring examples! Thanks! Having the color wheel would be helpful as a reference as well as adding to the composition of the piece. Your work is amazing and inspiring. I have learned so much from your faces stencil set and now I would love to play with your color wheel stencils. they look like so much fun and maybe I can finally memorize the colors on the wheel. thank you very much. Pam, your stencils are fantastic! I have learned so much from the faces and now would love to play with the color wheel set. Thanks. Love your stencils. I would love to win the giveaway! Love your stencil and books! thanks so much for the giveaway!! and for sharing your wonderful art! I love your stencils designs Pam and your journal style is so delicious. What great pages. Definitely bookmarking these for reference and inspiration. Thank you for a fantastic giveaway Pam! Your work is so inspiring! I would love the chance to win a signed edition of your book! Pam, your work is just so complex and satisfying. 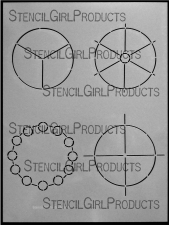 Love the way you’ve used these stencils to create geometric accents in the layers of your work. Love your pages!!! A colour wheel stencil, what an awesome idea and I love your face ones. I would love to win a stencil and your book would be even better! LOVE your journal pages, girlfriend! Amazing pages and a great give away! So many awesome ways to use these stencils. Thanks for sharing and providing a chance to win! Just finished your Still Pursuing Portraits class, so I have the face stencils at hand. I now know what I’m doing for my annual holiday painting – the face stencil and the color wheel stencil and lots of gold leaf. Love this stencil and what you did with it. Thanks! I love how colorful your projects are. Would love to look inside your book! Thank you for the chance. Your stencils are intriguing. I LOVE stencils. So fun to work with. Love yours here. I’ve been a fan of Pam’s work for quite a while and have taken some of her classes. These stencils look amazing. It would be great to win one. I am always amazed at your art. It is so inspiring. Your stencil would be a very nice addition to my colelction. Thanks for the chance to win. Pam I am a fan! Trying to track down your stencils and would love your book. Setting up a regular time and place to journal has been difficult. I appreciate your sharing. Love all of your stencils! (wish I was rich!) This tutorial is awesome thanks Pam! and congrats again on your new book!! Hi Pam, Just perepped some paper to do some color studies. Synchronicity! Perfect to win these stencils to use, and I love the idea of using them in creative work and for study of color. I bought your bought-Amazing follow up to the first one, but I’d certainly still wish to win a copy because I would gift it to an artist friend. Fun stuff! Thanks! Love the color wheel stencils! Thanks for hosting a giveaway. Your pages are gorgeous. Beautiful pages! Thanks for the chance to win … I love your work! Pam, your stencils and your art ROCK!! Whoever wins the signed copy of you just released book, Creating Art at the Speed of Life, is one lucky, lucky duck!! Congratulations on your new book!! this is a great idea for a stencil! I love the colors you are using and the art. love your new stencils! 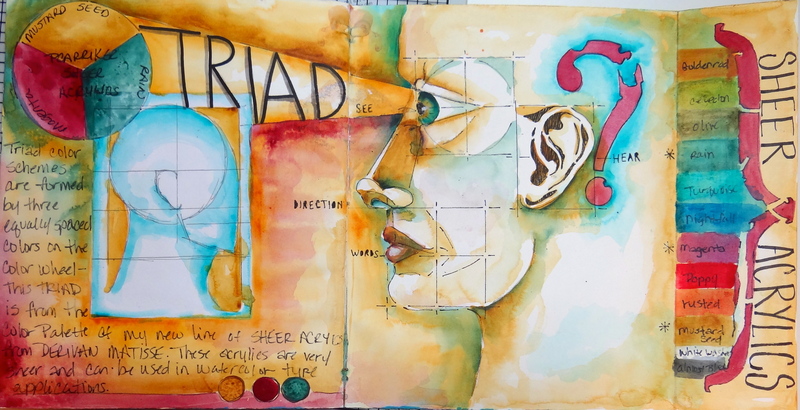 the color wheel use in your art journal is amazing! I love your work Pam. Fabulous colours and such wonderful ideas…so much fun to be a part of this hop! Oh I am so loving all the colors and imagery on your pages. Can’t wait to see what others have done on the hop. Your stencils are fantastic! Oooohhhh. I would love to win. Love these stencils and the ideas popping in my head how to create with them. Thank you for this opportunity. Oh, and see you in Saluda next month. Thanks for sharing. Your art is so inspiring. these are just the coolest stencils and your pages are fantastic Pam!! Thanks for the chance to win! I love your art. I have your first book. I’m sure this one is just as awesome! Love your stencils. I have your first book and your new one is on my wish list. 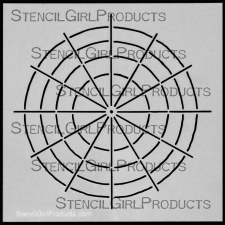 I love color wheels but my favorite one of your stencils is … 6″x6″ Hue Tint Tone Shade Outline Stencil Item # S114. I hope I win! What great-looking stencils! I think they would be incredibly versatile. I love making color wheels and these stencils would make it even easier! I’d love a change to win your new book. Your first book is used a lot over here. The work you are showing is very pretty and collorful. I’ve been studying color and these new stencils would be awesome to play with! love how you used the stencil…so inspiring!